This article has been edited. The full version will be posted soon. May 2015: Bob, our beloved meat and seafood manager, thought he had struck gold when a local supplier sold him some “Organic Salmon.” However, I immediately called foul on the supplier and producer, because I knew for a fact that the USDA does not certify any seafood as organic. Four months later, after six interviews, days of research and even a trip to the “Organic Salmon” farm on the west coast of Vancouver Island in British Columbia, I feel that I have solved the mystery and am ready to make Pilgrim’s official recommendations. The salmon aquaculture industry began about 40 years ago to help meet the rising demand for salmon, mainly in Europe, the United States and Japan. About 60% of the salmon we eat comes from farms. This $5.4 billion industry generates almost two million metric tons of farmed salmon each year. The aquaculture industry is only expected to grow. According to a 2009 report from the United Nations Food and Agriculture Organization, most of the increase in seafood production will be seen in the aquaculture industry, especially since the wild fisheries are depleted and controlled, and therefore limited. Proponents of aquaculture claim that the demand for seafood has already exceeded what the natural fisheries can support, and over half of the total seafood supply is currently consumed worldwide. Although they do admit to the deleterious impacts of aquaculture on wild salmon and the greater marine ecosystem, they argue that the industry is improving and impacts are being significantly reduced. Partial evidence of this improvement is the commitment of 15 companies, representing 70% of global farmed production, to certify 100% of their production through the Aquaculture Stewardship Council by 2020. This is purported to measurably reduce the negative impact of salmon production on some of the world’s mostecologically important regions. 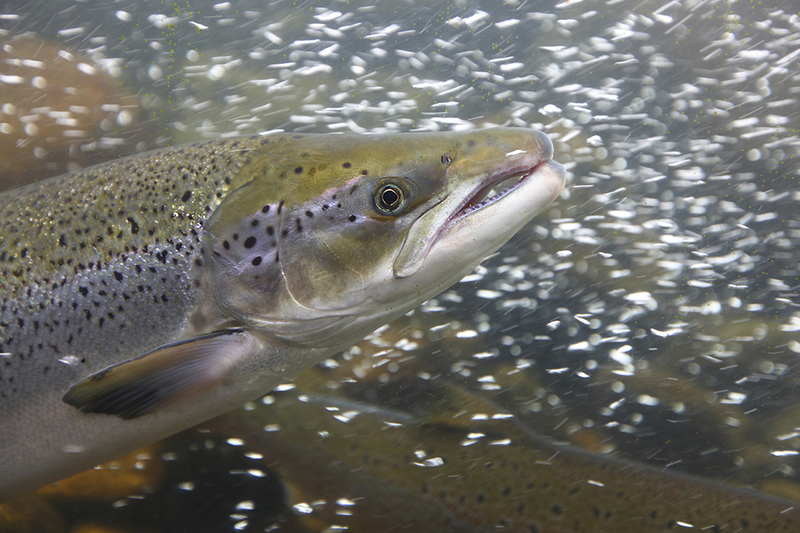 The efforts of this new “Organic Salmon” farm and the other members of the Pacific Organic Seafood Association are another example of the improving industry. However, is it enough? 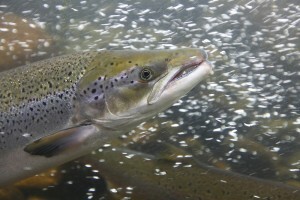 Poorly managed salmon farms can spread disease and parasites among wild fish, while overuse of chemicals and fish waste can affect ocean ecosystems. In addition, the use of marine organisms as feed for farmed fish impacts natural resources. In the disturbing yet controversial documentary Salmon Confidential, biologist and wildlife activist, Alex Morton, shows a graph telling of a dramatic decline in wild fish runs around Vancouver Island since the introduction of open-net pens in the early 90s. Alex claims that all but one of the rivers have suffered drastic reductions in the wildruns. The movie goes on to persuade that diseases spread by the salmon farms located on the migratory routes of wild salmon are the reason for the decline of the wild fish. This theory is reported to be further confirmed by the fact that the one river with a still vibrant wild run is the only river in the region that does NOT have a salmon farm nearby. The movie drops what appears to be a deathblow to the industry and its government oversight when it presents disturbing evidence of an intentional cover-up campaign of scientific findings that suggest that diseases spread by the farms were the smoking gun – the reason for the rapid decline of wild salmon runs! 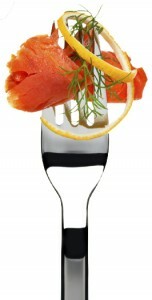 The name of the fish farm with the organic claim is Creative Salmon. Creative Salmon has indeed engaged the Canadian General Standards Board and has been instrumental in the creation of organic seafood standards in Canada. The process was somewhat lengthy, and it involved a stakeholder committee of industry members, consumer advocates, regulators and environmental organizations. In addition, it went through two extensive public reviews and many changes before being published. At this time, the standards are voluntary and are yet to equal the Canadian national organic certification for agricultural foods, in terms of regulation. Furthermore, it has no equivalency in the U.S. where the USDA is still discussing the merits and pitfalls of an organic seafood certification. Europe has established standards in addition to Canada, but I think they might conduct another review once these standards become mandatory and regulated. Although we support the work that Creative Salmon is doing to raise healthy salmon in a manner that is friendly to the neighboring wild salmon, we do not recommend purchasing their salmon just yet. At this time, Pilgrim’s defers to organizations like the Monterey Bay and Vancouver Aquariums, which both have conservation programs created to educate and empower consumers about issues surrounding sustainable seafood. One program is called Seafood Watch, and the other is called Ocean Wise. Be on the lookout for their recommendations in our seafood section and vote with your dollars by purchasing seafood that is recognized as safe and sustainable. We hope that we can endorse Creative Salmon someday soon, but for now, you can rest assured that we are doing our homework to offer you the highest quality seafood we can find, that will also create a healthy future for our environment and our families. 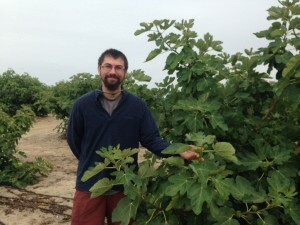 Grapes, melons, figs, peppers and eggplant – available in May? It is a privilege to have access to such symbols of summer in the Inland Northwest long before our region can produce these fruits and vegetables. To support out-of-season consumer demands like these, our food system operates with a very high level of efficiency, a spectacular entourage of agricultural tools, multiple generations of great minds, and a whole lot of very hard-working people. In order to better understand this food system and thereby better serve and support our customers, I was given the opportunity to visit some of the largest-producing organic farms in the Imperial and Coachella valley’s, where I had the chance to converse and network with the farmers, distributors and wholesalers that allow sweet cantaloupe and watermelon to be staples of your memorial day and independence day weekends. Unforeseen environmental pressures are a constant for farmers. In 2015, lack of winter precipitation in the Sierra’s caused farms and municipalities who rely on the snowpack, to re-evaluate and limit all of their water use. However, the greater Palm Springs area was among the few regions that had water, due to the Coachella canal system. 160 miles of canals, full of diverted Colorado River water, line out this area, and are some the most sophisticated canal systems in the world. If the densely populated urban areas to the north need water, however, these farms will then join the majority of Californian agriculture forced to drastically reduce their water consumption. For now, these farms are prospering. The desert conditions allow this area to provide some of the first domestic Mediterranean fruits and vegetables of the year. My group met up with Anthony Bianco of Anthony Vineyards. We visited part of his 2000-acre grape vineyard, as well as his packaging facilities, and then move on to the date palm orchards where we learned about the thinning, pollinating and harvesting done by their experts, called Palmeros. From there, we visited the farms supporting the Pasha and Mr. Grape labels. Pasha packs peppers and eggplant, and you can guess the crops harvested by Mr. Grape! Their umbrella company also grows multiple varieties of citrus. We then met up with Sutton Morgan, owner of Oasis Organics, who is another multi-generational farmer who grows melons, onions, potatoes and what California calls “winter crops” – broccoli, celery, cauliflower, carrots and other wet vegetables. We then visited storage sheds being utilized by multiple growers and witnessed hydro-cooling and air-cooling in action. For all of these growers, time is of the essence as they move produce from vine to cooler in the Coachella desert, where temperatures can climb well into the 100’s in the daytime. Our final stop took us to Gless Ranch, where several varieties of fresh figs are grown. The beautiful trees were full of the commodity, but due to the fragility of this fruit, only 6,000 pounds of the 10,000 pounds picked in a day is sellable. The rest are discarded. Sad as it is, it is equally incredible that this fragile fruit can be grown and shipped on such a scale, and we can enjoy fresh California figs in June! This experience for me was ultimately a reminder that our food is precious and should never be taken for granted. Humans have labored for thousands of years to master the art of agriculture in order to better support whole communities. Today’s food system allows us to enjoy, and even expect, many types of fruits and vegetables, year-round. While a local food system is ideal, these organic farms exist to support our summertime cravings, and work with integrity to bring us high quality products and give back to the environment.